Bluestone pro is a load box that is connected between the amplifier output and the amp speaker (or separate speaker cabinet). When switched out the amp and speaker function as normal. 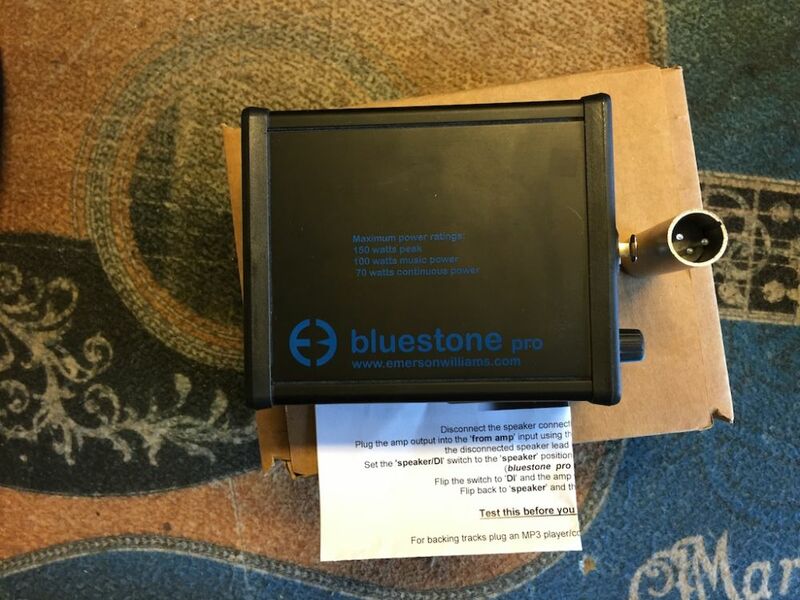 When switched in the speaker becomes silent and the amp output is fed to the bluestone internal load. The frequency compensated output from the load allows you to listen to the amp through headphones at a volume level controlled by the output attenuator. There is an additional audio input that allows the mixing in of backing tracks or tutorial audio.